With two nuclear capable countries engaged in continuous bombardment of colorful words, one can’t help but think that at some point, someone pissed enough would push the red button and trigger the next world war. According to many surveys, the US-North Korea rift makes one of the greatest world security concerns today. 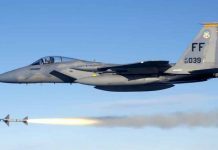 Moreover, the news of US conducting quiet military drills in different parts of the world in its campaign to pressure North Korea adds up to the tension. As predicted by many experts, the next world war would result to deaths of millions, probably greater than the past wars combined. Different countries may find themselves involved in this war plunging the world economy down the marsh pit. However, compared to the previous world wars which lasted for years, the next one is expected to end up quickly. Given the power of today’s weaponry, these forecasts are highly likely to happen. If a nuclear warhead hits the city and you survived the initial attack, you’re left to deal with another problem — a world envenomed by nuclear radiation. To live through this stage, one must prepare and execute plans with extra care to avoid becoming a casualty. What are your chances and how can you get out alive of this catastrophe? After a nuclear explosion, the event emits radiation particles that disperse quickly to the surroundings. These emission contains enough energy that can destroy the electrons out of every matter. When this happens, it gives existence to ion pairs or ionizing radiation which highly reacts to chemicals. Ionizing radiation comes in different types: alpha, beta, gamma, cosmic, neutrons, X-rays and more. Regardless of what type of ionizing radiation hits you, it’s the amount of exposure that poisons and kills. The absorbed dose is measured in units of Grays (Gy) or sievert (Sv). A quick abdominal X-ray exposes you to a very light dose which makes it safe. But when your body gets fully exposed to radiation of 300 Sv or more, you only have a couple of minutes to live. 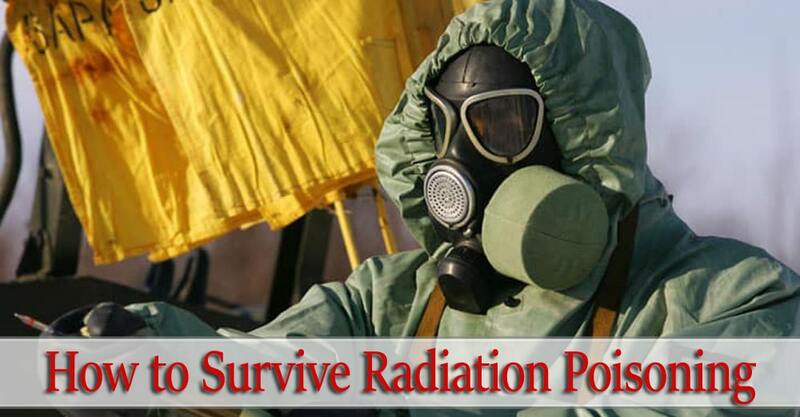 How will you die from nuclear radiation poisoning aka Acute Radiation Syndrome (ARS)? Ionizing radiation is good when it comes to one thing — destroying DNA. It either breaks the cells enough to kill them or cause mutation that will eventually result to cancer. The severity of ARS would depend on the amount of radiation exposure. Lower doses (< 1.0) can cause nausea, vomiting, headaches, fever and fatigue. Higher amount of exposure (1.0-4.0 Gy) kills the blood cells. You can still survive, but the treatment process involves a series of blood transfusion and administering of antibiotics. 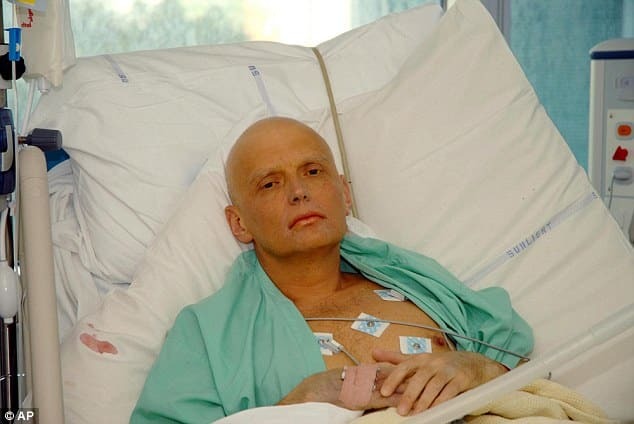 A radiation poisoning victim who received this amount of ionizing radiation will also suffer from a weakened immune system, uncontrollable bleeding, and anemia due to blood complications. Patients who absorbed 2 Gy of ionizing radiation or more will notice an odd sunburn on different parts of their body. This condition is called acute radiodermatitis often characterized by red patches, blistering, and peeling skin. Doses between 4-8 Gy could be fatal. However, the symptoms before death still depend on the amount of absorbed radiation poison. Patients exposed at this level suffer from severe diarrhea, vomiting, dizziness and fever. If left untreated, the victim could die in just a week. Doses between 8-30 Gy terminates the life of a patient within two weeks after the exposure. After an hour of exposure, victims will experience nausea and extreme diarrhea. Those who received more than 30 Gy of nuclear radiation will also experience severe vomiting, diarrhea, and dizziness. Seizures and involuntary movements are also common. Death occurs within 48 hours. Cancers of the colon, thyroid, breast, bile ducts, bladder, kidney, pancreas, ovary, small intestine, urinary tract and salivary glands. The devastating effects of nuclear radiation will make someone wish for their life to end immediately. Looking into some famous instances, it appeared that it’s better to get caught in a nuclear bombing where death is quick, instead of absorbing doses of radiation that leads to agonizing pain and suffering. Listed below are well-known incidents and cases of people who died due to receiving high or repeated doses of ionizing radiation. Eben McBurney Byers, an American aristocrat, athlete, and industrialist, injured his arm while traveling after the Harvard-Yale football game. He complained of persistent pain and took Radithor, a highly radium-concentrated patent medicine as suggested by his doctor. 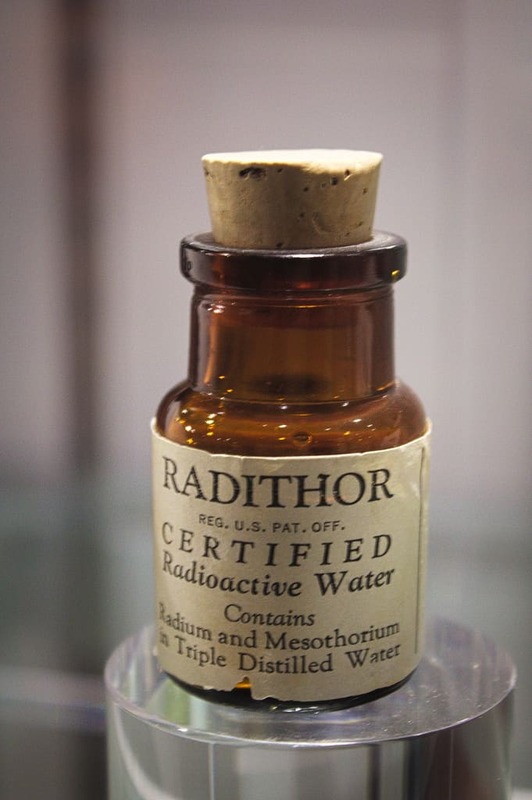 Byers drank 1,400 bottles of Radithor over three years and as a result, his bones received loads of radium that it even shrank his jaw. He also suffered from brain abscess and holes in his skull. Two years after he stopped taking Radithor, Byers died from radiation poisoning in 1932. Harry K. Daghlian, Jr. was a physicist researching for the Manhattan Project. While conducting an experiment to build a nuclear reflector, Daghlian accidentally dropped the last tungsten carbide brick into the center of the plutonium core and brick assembly. This caused the reaction to become super critical. To halt the reaction, he attempted to knock off the brick but failed. He was forced to get close so that he can partially disassemble the tungsten carbide pile to prevent further disaster. As a result, he absorbed a high dose of neutron radiation. Daghlian was given intensive medical care but he still fell into a coma and died 25 days after the accident. After a few months, another researcher who worked on the Manhattan Project fell victim to nuclear poisoning. 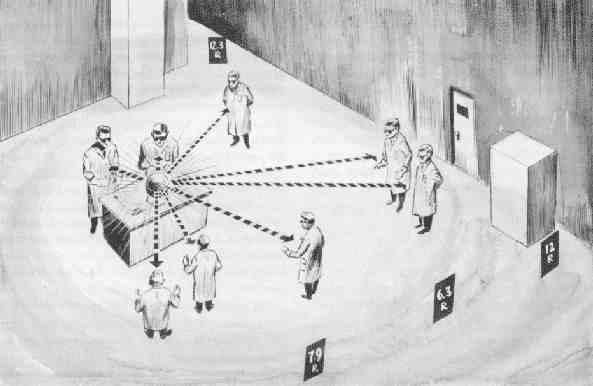 Louis Slotin, performed an experiment as eight others watched. He tried to place two half-spheres of beryllium around the plutonium core trying to create one of the first steps in fissure reaction. But an accident happened where the beryllium fell causing a critical reaction which he managed to fix. However, Slotin was already exposed to very high doses of ionizing radiation. According to the records, Slotin experienced a sour taste in his mouth and a burning sensation in his left hand. Others observed the blue glow of air ionization and a sudden heat wave. Slotin vomited as soon as they got out of the facility, which is a common reaction to people who absorbed doses of nuclear radiation. He was rushed to the hospital but his health deteriorated in just a matter of days. After nine days, Slotin died from ARS caused by the same core dropped by Daghlian, earning the name “demon core”. In 1958, an accident involving a plutonium processing tank occurred killing an experienced chemical operator. 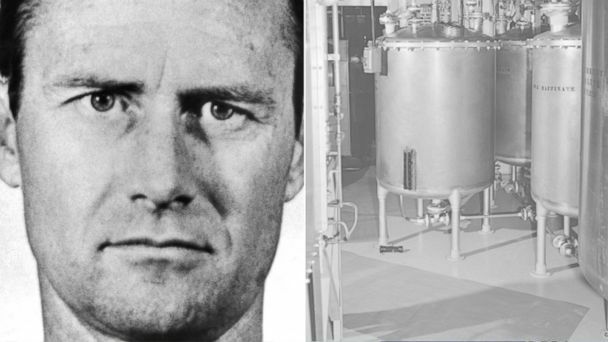 Cecil Kelley was working in a tank that supposed to have 0.1 grams of plutonium per liter. However, due to improper transfers, the tank turned out to have held plutonium concentration of 200 times higher. Also, the concentration was not distributed evenly making it prone to criticality even before Kelley tried to began the operation. When he switched the stirrer on, the tank formed a vortex and other worked heard a dull thud coming from Kelley’s area. Two operators rushed to help Kelley and brought him to the hospital. He was retching, vomiting and hyperventilating. When the doctors conducted a test, they found out Kelley’s body fully radioactive. Two hours after the incident, he regained coherence but it was clear that he won’t survive for long. Test results also showed that Kelley’s bone marrow was destroyed and he began experiencing pain in his abdomen that won’t react to medication. Kelley died 35 hours after the criticality accident. Around 70,000 to 80,000 people died immediately when the uranium bomb, “Little Boy”, was dropped in Hiroshima. 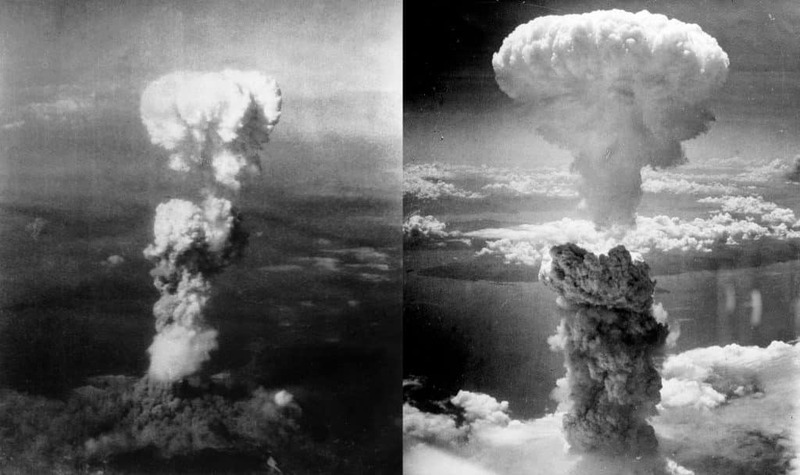 After three days, 40,000-75,000 lives perished instantly after the plutonium bomb, “Fat Man”, exploded in Nagasaki. But these are not the only deaths caused by the bombings. In fact, approximately 250,000 more died of radiation burns, thermal burns, radiation sickness and other diseases caused by radiation poisoning which came from these two events. Apart from human error, a nuclear tragedy may come as a result of a natural disaster such as earthquake in the case of Fukushima Daiichi Nuclear Power Plant. In March 2011, an earthquake with magnitude 9.0 hit the northeast coast of Japan causing nuclear meltdown, explosions and radiation leaks. The incident contaminated the nearby soil and water. Two bodies were found in the turbine room of the power plant while 167 workers were exposed to radiation. While the public received low doses of ionizing radiation, the Japanese government expects a very low amount of cancer issues to develop. The biggest nuclear accident that happened so far in history took place at the Chernobyl Power Plant in Ukraine. Due to regional power issues, the workers conducting a test to figure out how turbines would supply energy to different pumps after a power failure paused the test. The night shift workers which are newbies and not fully trained were left to continue the experiment. As a result, multiple errors were made while the automatic shutdown mechanisms were disabled. The reactor SCRAMed and issues with the design helped the core to quickly overheat. It eventually exploded releasing huge amounts of radioactive steam and fission products. 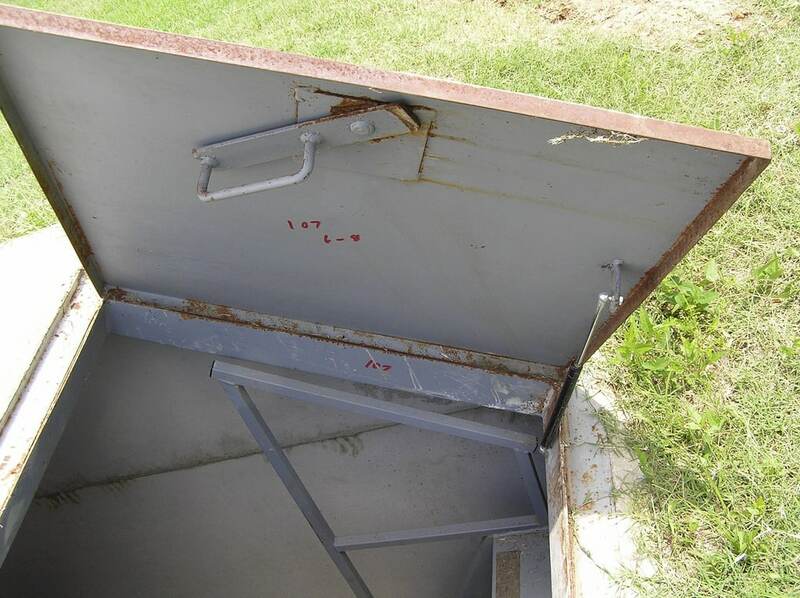 One of the workers was killed immediately and his body must be identifiable as it was never found. Another one was rushed to the hospital but also died due to his injuries. 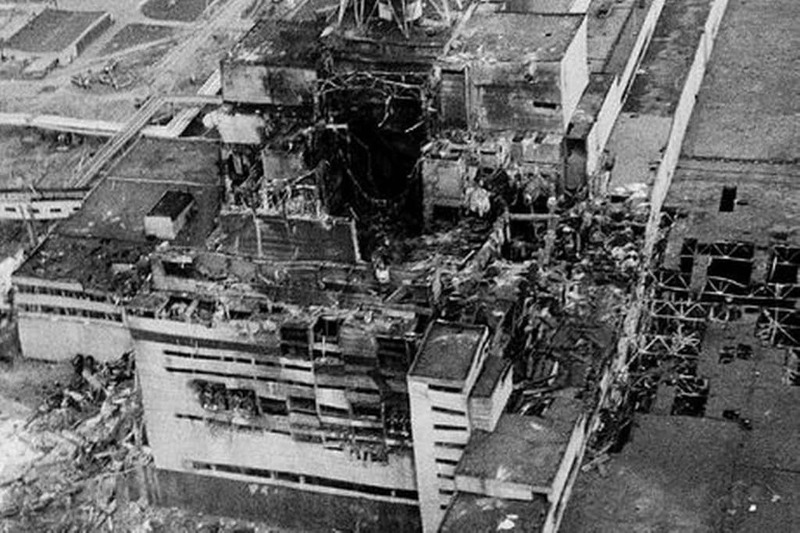 The Chernobyl incident of 1986 caused ARS to 237 people working on site. Twenty eight people died within weeks, six of them were firefighters who attended to the fires of the turbine building. Nineteen more died between 1984 and 2004. While no one off site suffered from acute radiation syndrome, the fallout soon generated many cases of childhood thyroid cancers. The Chernobyl nuclear accident affected around one million people and made a huge part of Pripyat city contaminated up to now. 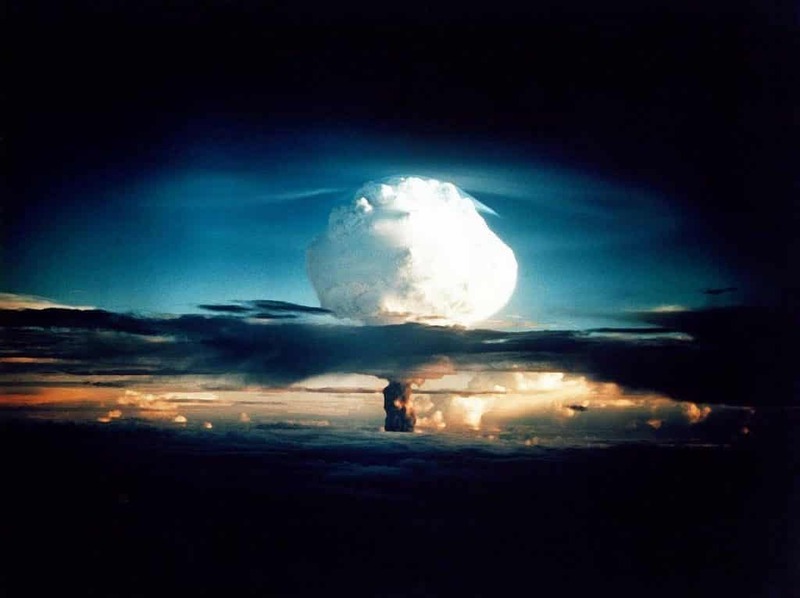 Apart from nuclear attacks, a world contaminated by radiation may come as a result of human error as mentioned in many examples above, or a natural disaster. 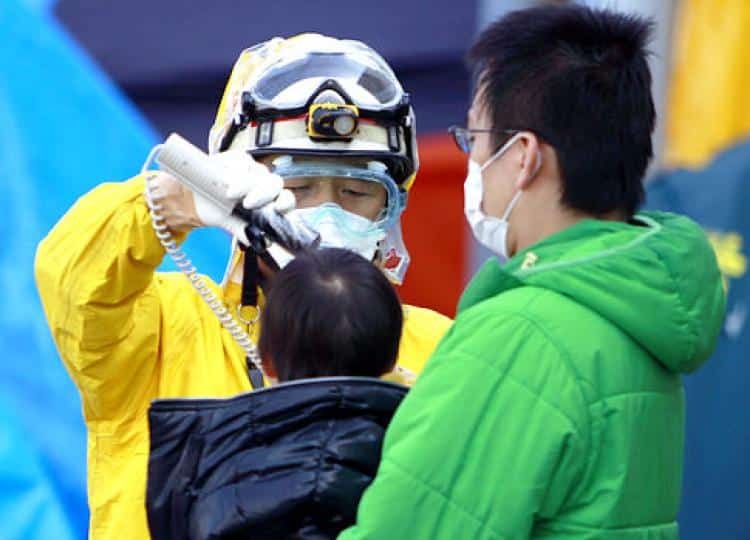 Think of the earthquake and tsunami that caused the Fukushima incident placing many nearby residents in danger of dying from conditions associated with radiation poisoning. If you happened to survive the initial blast, you’ll continue to make it out alive if you prepped enough to shield yourself and your family from the dispersed nuclear fall out brought by the wind. Here are some things you can do to increase the chances of your survival. The most important key to get away from nuclear radiation is to know about the incident the moment it explodes. When it happens, power lines may die and you’re left wondering what just happened. Radio signals may be affected as well as the internet. With the basic communication tools dead, how will you know about the upcoming disaster? The government will send out warnings of fallout arrival through an official channel for emergency announcements. However, only radios with short antennas like the NOAA/All Hazard Weather Channels with Alert and Weather Scan will work as they won’t be affected by the nuclear fallout. So if you don’t have one, time to purchase from your favorite online shopping store. Another stuff that will remain functional despite the electromagnetic pulse around the area is the 50-channel two-way radio from Midland Communications. You will receive alerts about nuclear power plant warnings with a detection range of 36 miles out. This will let you know about a nuclear power plant accident or an attack ahead of anyone giving you enough time to prepare and device whether to bug in or bug out. In case of a nuclear power plant accident, it’s best to always know its distance from your home. Check the map to make sure if you reside near a power plant. You also need to know whether the site is operational or not. Do it now as soon as you read this sentence. 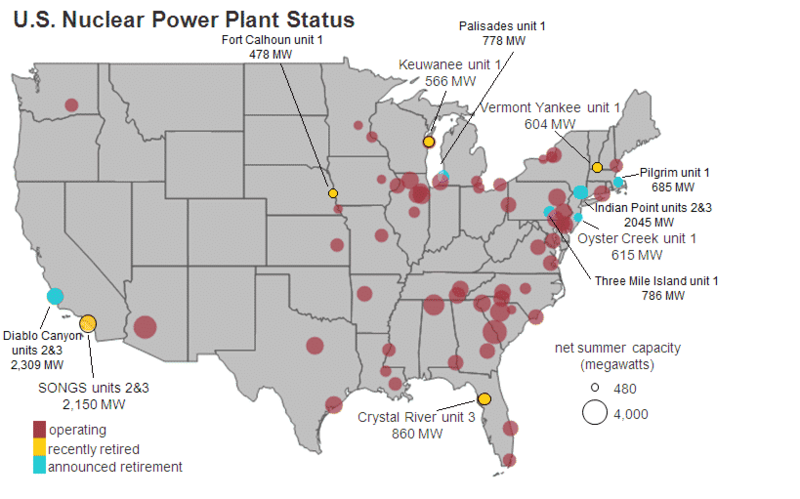 We provided an updated map of U.S. Nuclear Power Plant location and their status below. Your residence must sit many miles away from the plant to be safe. But if you want to completely get away from danger, consider moving to neighboring city. A nuclear accident may come as light as an X-ray dose. 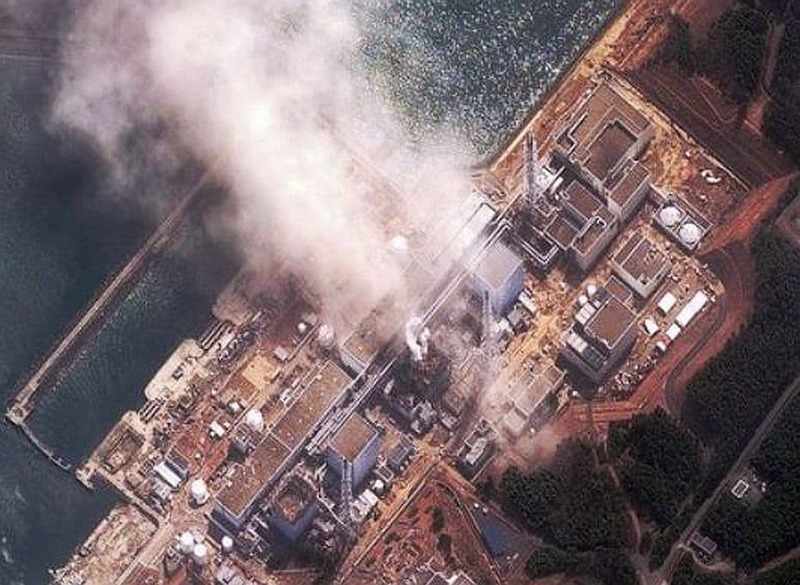 However, the usual mishaps involving nuclear power plants turned out to be deadly like the Fukushima Daiichi and Chernobyl disaster. Also, a nuclear attack carried out by terrorists or enemy countries may go as far as we can imagine. Assume the worst thing to take place so you can always come up with the best course of action. If you decide to bug in or stay at home, you need enough supplies to keep you alive until the government finds a way to decontaminate the area. 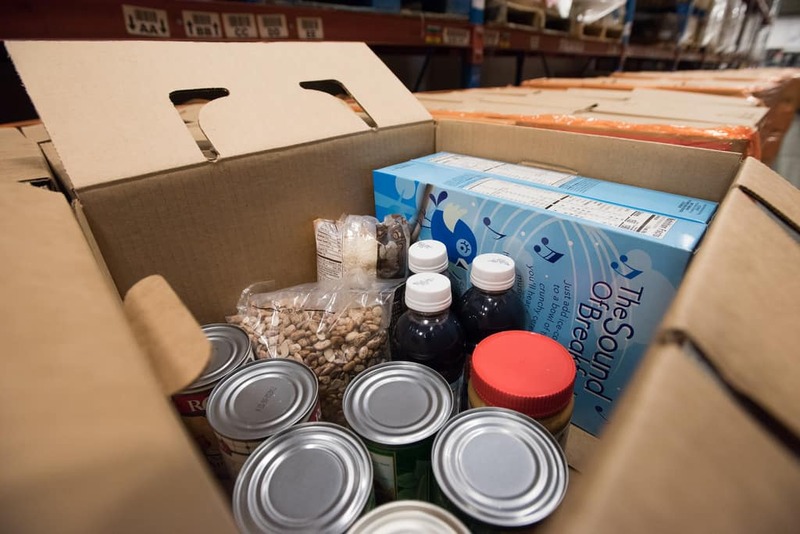 Some bunkers can keep emergency food packs, canned goods, and other food items that will last for three to five years while giving you enough space to grow crops or raise livestock, poultry, and some aquatic goods. This may not be an option for all. However, it’s one great investment for any household as shelters serve as safe havens in many other events apart from a nuclear fallout such as an air strike or an earthquake. The Atlas underground bunker sounds like a good deal as you can get a safe place to “let it all pass” for $36,000. A shelter must be able to sustain itself through its own water and power sources. Generators would come in handy once a national black out commenced. 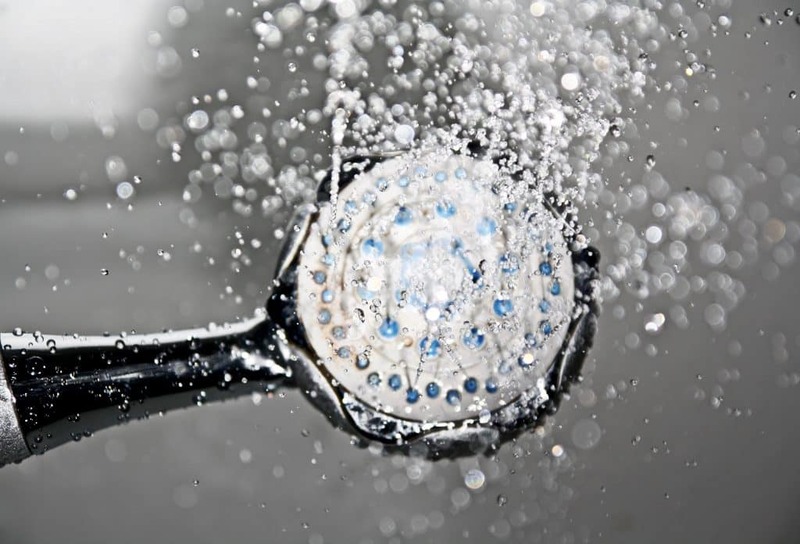 While a water source may become tainted with radiation, they are still safe to use for cleaning or decontamination. Radiological water filters will help solve water problems in many situations. If you don’t have enough funds to build an underground shelter, storm shelters and root cellars will do. You can also fortify your home to make it resistant from fallout threats. Seal up windows with tough plastic sheets for pandemics and duct tape. This would provide sufficient defense against radiation. Block the entrance with sandbags to prevent intruders from getting in. Sandbags also shields you from radiation, bullets, and explosives. Build more mass for a higher amount of protection. Radiation cannot be removed by just boiling contaminated water. You can only make sure of it by using a trusted radiological water filter system. The Seychelles Water Filter eliminates 100% of identified radiological contaminants from drinking water. It includes: radium 226, cesium 137, uranium, gross beta, radon 222, and radioactive iodine B1. 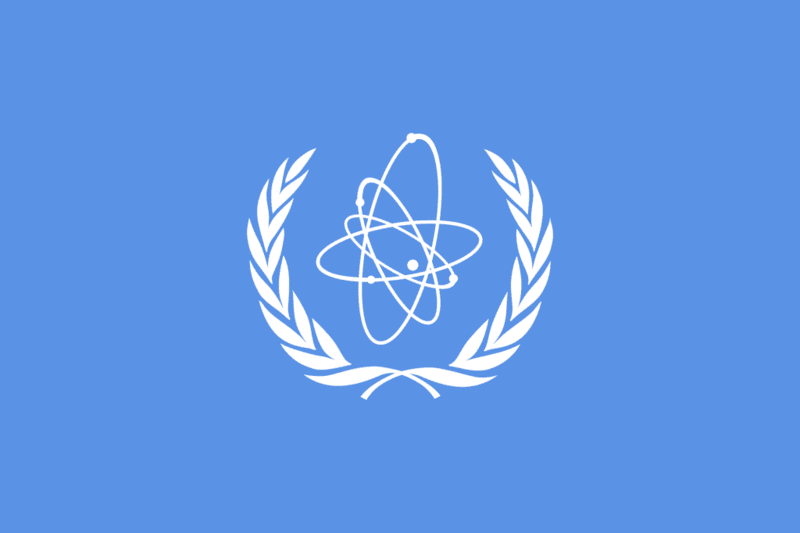 Nuclear radiation from a distance can be carried away by the wind. When it reaches your destination, make sure you gathered enough protection from its damages. Anti-radiation tablets will not immunize you from radiation but they can prevent some damaging effects caused by radiation poisoning. 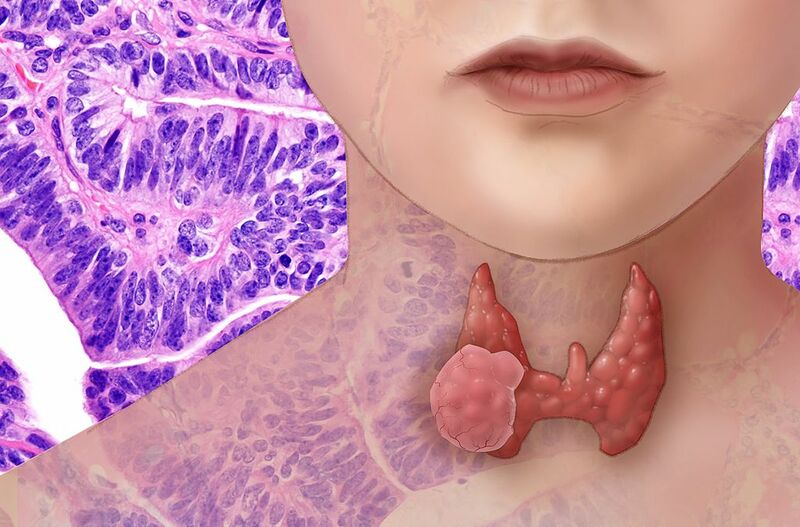 The thyroid, the part of the body that is most sensitive to radiation, uses iodine to make a thyroid hormone. When ionized radiation made contact with the thyroid, it scoops up radioactive iodine. 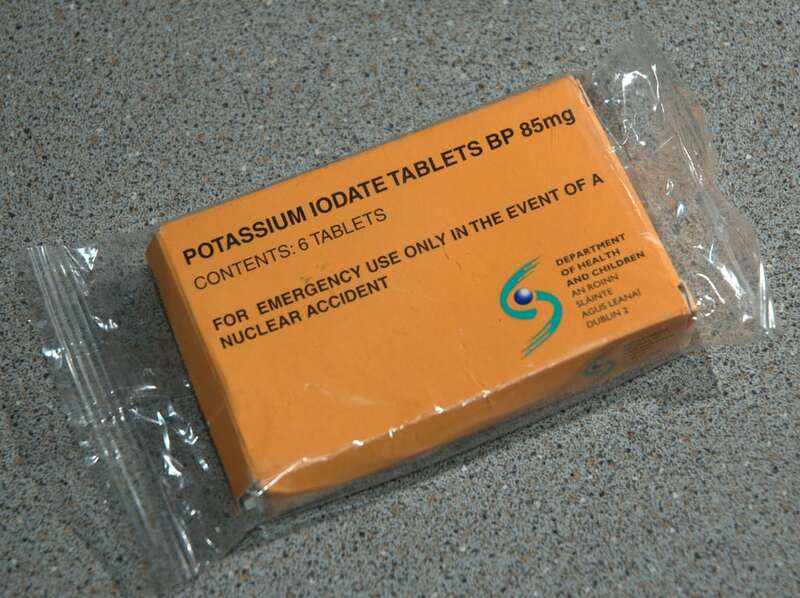 Anti-radiation tablets are usually potassium iodate pills. These pills protect the thyroid by supplying it with enough iodine so that it is no longer necessary to absorb any further. This prevents the thyroid from getting radioactive iodine that causes the development of thyroid cancer. Sodium bicarbonate also counts as a radioactive medicine. Like potassium iodate, it reduces some effects caused by radiation exposure. Sodium bicarbonate or baking soda prevents kidney failure and protects other sensitive tissues from damage. Dietary pectin is also known as a radioprotective agent. Apple pectin effectively sweeps toxins and contaminants in the digestive tract. 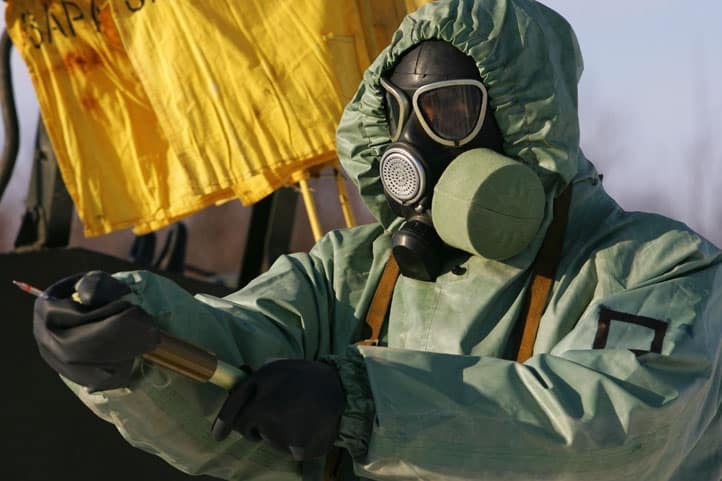 A report from Swiss Medical Weekly says that a study confirmed the reduction of 137Cs update on kids exposed to the radiation emitted by the Chernobyl incident. Apple pectin was administered orally in many cases and showed great performance in flushing out radiation from the affected body system. 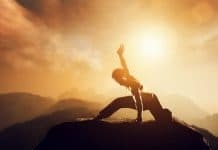 Other foods known to detoxify radiation include: bee pollen, beets, broccoli, brown rice, garlic, ginger, leafy greens, olive oil, onions, pumpkin, sea weed, and wheat grass. A way to reduce radiation exposure is to detect if it’s already in the air. While you may be contaminated by the time you found out about it, detecting radiation early and immediately taking action increases the chance of survival. For as low as $20, you can purchase some radiation detection kits or devices online. The RADSticker Dosimeter is an easy to use and portable stuff that can detect radiation. It’s a post stamp you can keep inside your wallet or stick to your bug out bag. 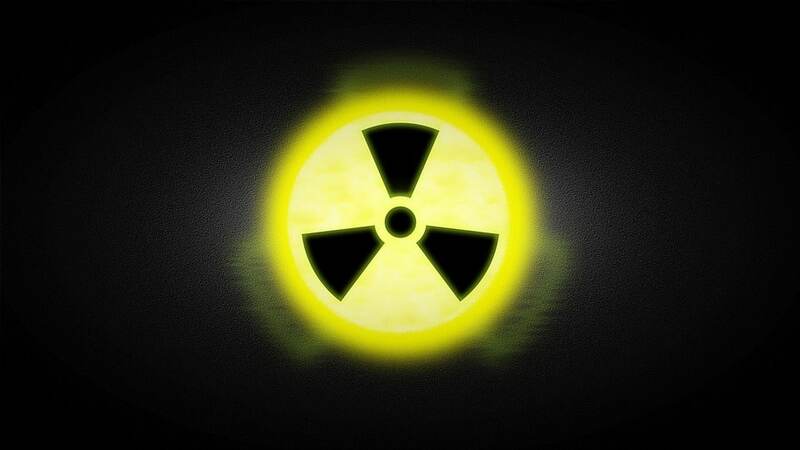 The RADSticker becomes darker as it detects radiation. It also provides users of information about the amount of radiation you were exposed to so you’ll know whether you need immediate medical attention or not. 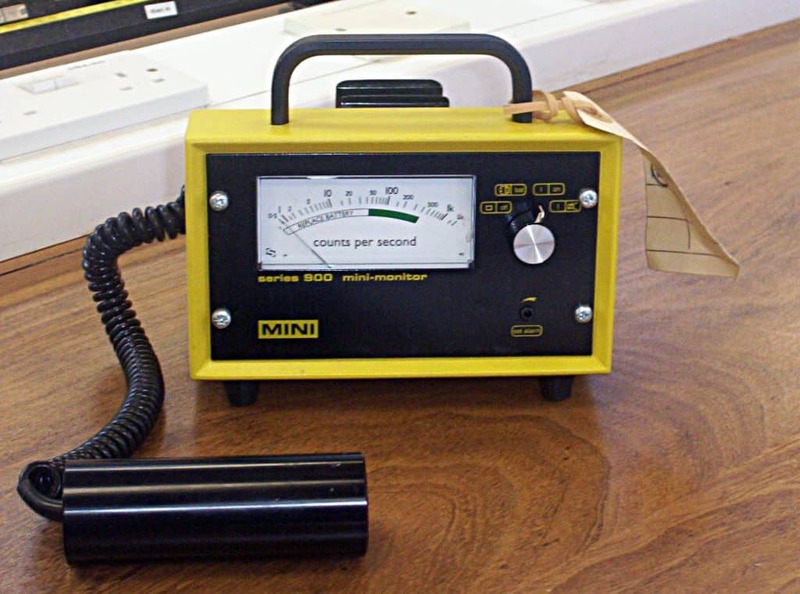 A fancier way to detect radiation is a Geiger counter. It’s got a more advanced radiation software technology for a bit of a price. The best affordable radiation solution we can find is the Radex Geiger counter which only costs around $200. Purchase radiation protective gears as you may need to get out of your shielded shelter at some point. This allows you to freely go out without the worry of radiation exposure. You also need to stock up on these suits if you live near a power plant. The Demron full body radiation protective unit fully shields you from fallout dust and radiation. As not everyone can afford this specialized suit, a disposable Tyvec suit or one that’s used in a pandemic may provide enough defense. However, you may need to be quick as it can’t handle prolonged exposure to radiation. On the other hand, a Faraday Cage shields your gadgets from electromagnetic pulse which may occur during a nuclear attack or accident. It can take a form of a square, rectangle or cylinder. The Faraday Cage are usually made of non-conductive material such as wood or cardboard, wrapped in aluminum foil. The conductive layer of the cage reflects fields and absorbs incoming energy while the cage itself generates opposing fields. This device protects your gadget from absorbing excessive field levels. Faraday bags with the same function are available online. To thwart the deadly radiation, minding the time of exposure is essential. The longer you swim in a contaminated field, the larger dose you’ll get leading to more damaging effects. Always keep a radiation detector with you, and immediately keep away from potential radiation sources. Bugging out may not be the best option during a nuclear fallout. But if in case that you need to get out of the shelter, you need to keep protective gears on hand. Don’t forget to bring a gas mask to prevent inhalation of dust particles. If you happened to be outside while the nuclear attack or accident happened, check the map and get as far as you can. If you can’t do so, seek for shelter. Bugging in appears as the most likely scenario for survivors of the nuclear attack. But this only works if you gathered everything you need before the fallout. While most experts would advise three days of food ration, it’s best to keep a year’s supply of food and water. Also consider growing your own food source inside the shelter. Tap water may be contaminated during a nuclear fallout. Do not drink water from well or tap water unless you collected them in a sealed container beforehand. 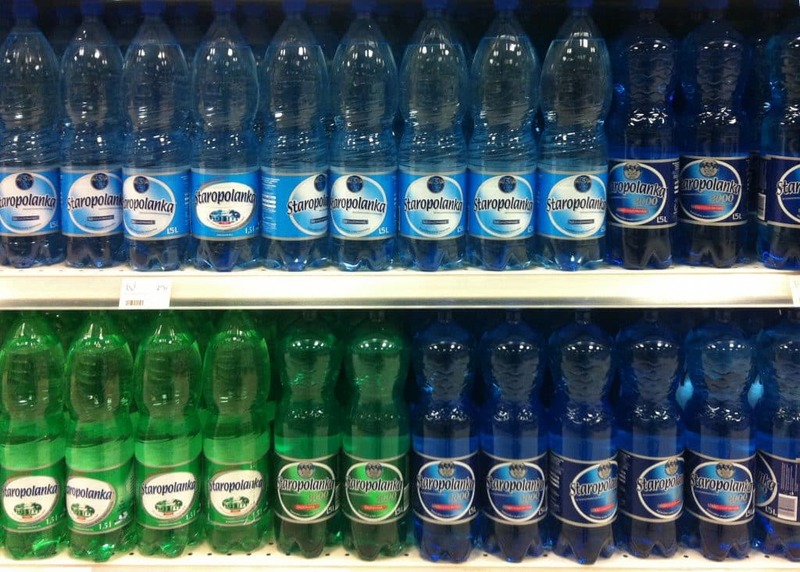 It’s safest to drink bottled water so keep plenty of stock in your bunker or shelter. Boiling water is not sufficient in removing radiation. A specialized radiological filtration system that really works is what you needed. If you got exposed to radiation, the next step is always decontamination. For shorter times of radiation subjection, you may only receive external damage. To make sure it remains that way, you need to know how to decontaminate. Take off all your clothes immediately including your underwear and discard them in secured plastic bags. This will reduce 90% of radiation contamination. Shower with clean water and soap. Scrub hard to remove potential radiation from the surface of your skin. This step will annihilate the remaining 10%. While we don’t want our readers to reach a point of experiencing the symptoms, an excellent prepper assumes the worst. A human exposed to radiation may experience nausea, vomiting and dizziness. If this happened after a nuclear incident, decontaminate and get to the nearest hospital as soon as possible for immediate treatment. 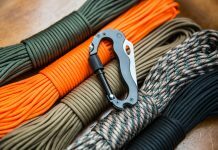 Next articleWhat are the Best Martial Arts for Self Defense?